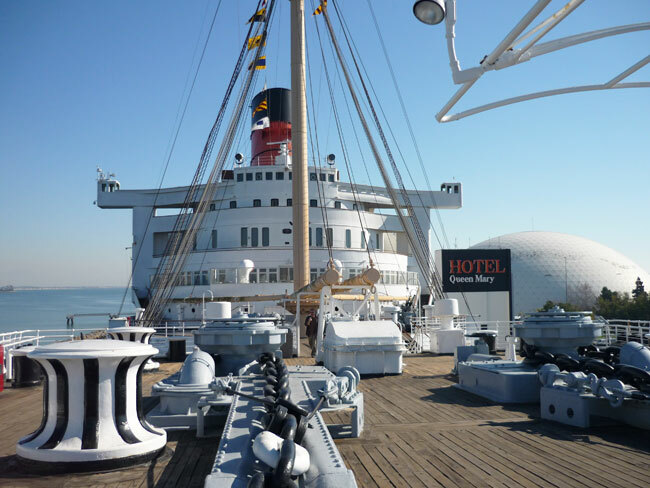 Anyone who’s spent any time with me at all has probably heard me ramble on about my favorite hotel on the planet – the Hotel Queen Mary over in Long Beach, California. 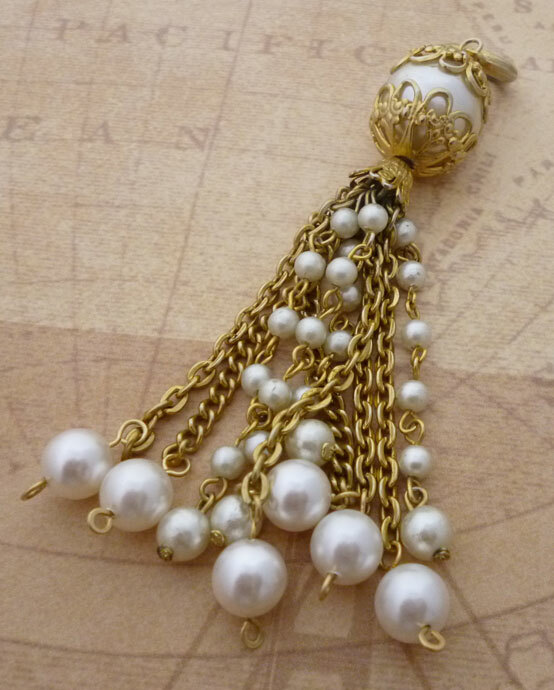 This pearl and gold tassel was in a bag of vintage goodies that my niece picked up at a yard sale in the mountains of Arizona. 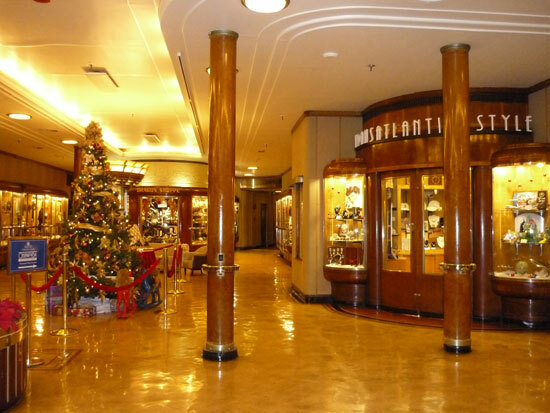 It always reminded me grand opulence (hence, the Queen Mary!) 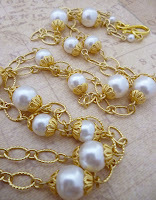 so when it came time for the new Artbeads Blogging Challenge, “Something Old is New Again”, I knew exactly what I wanted to create! I worked and re-worked this piece a few different times, first with two different chains like what it was attached to when it was given to me. 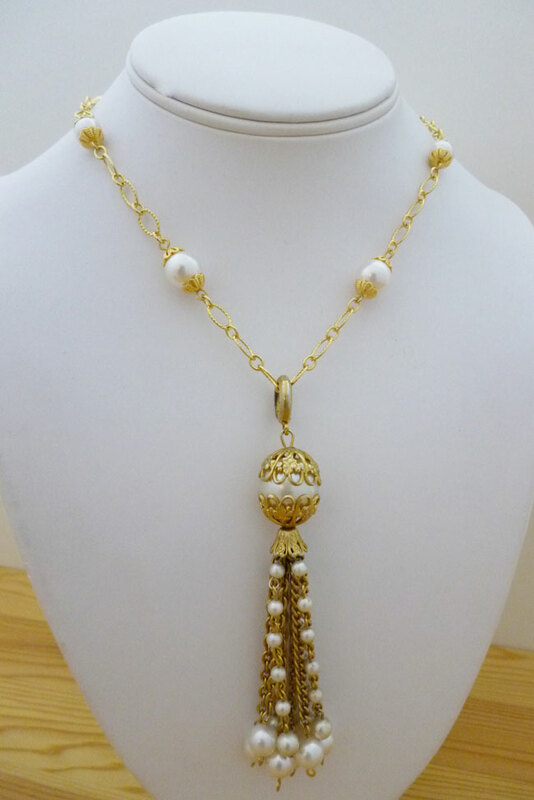 I added, subtracted, added, subtracted Swarovski pearls, crystals, bead caps, more chain,….urggghhhh,…nothing looked right and nothing felt like the sleek sophistication that was befitting the Queen Mary or the elegant women who graced those magical ballrooms and suites. 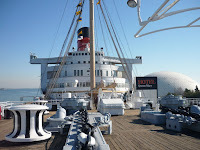 “Simple is Best” kept whispering in my ear, (just like the ghosts of the Queen Mary herself!) 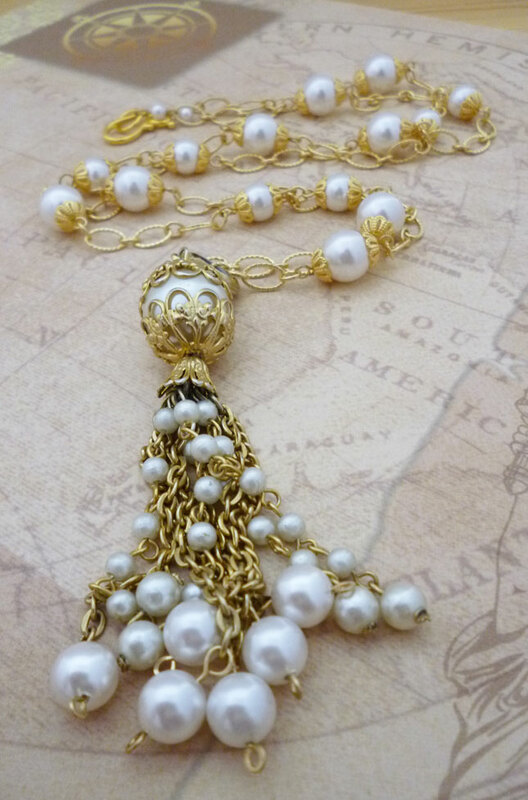 and I reconstructed everything once more, adding only a few pearls to the bottom of the tassel, keeping the chain that more closely resembled the 1940’s period and ditching the art-deco looking chain - although it would have been very fitting, it was way too "gold looking" and bright for this specific piece. 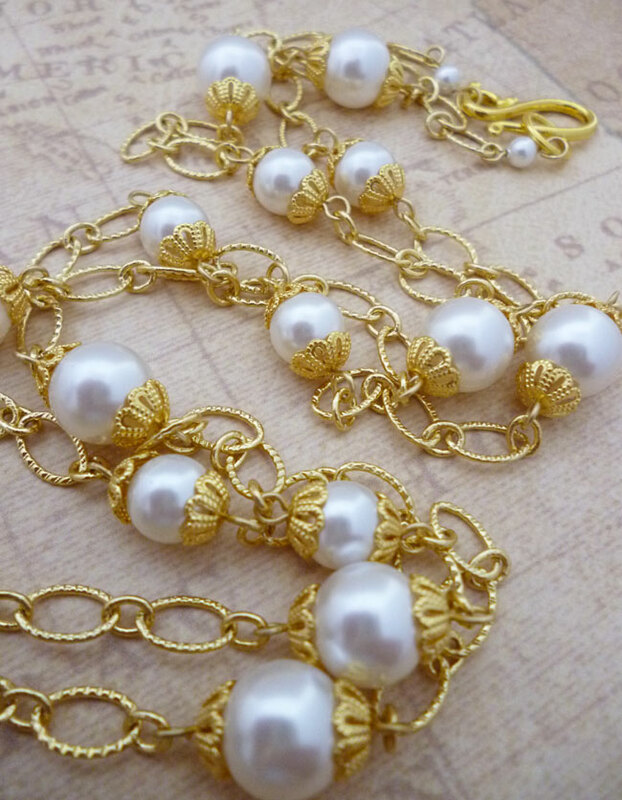 I alternated different sizes of Swarovski Pearls and gold plated bead caps and finished it off with a simple hook clasp; very befitting the time period. 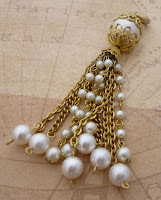 Earrings were created that would compliment, but not distract, from this elegant necklace and I finished them with my own handcrafted 14K gold filled earring wires. All was now perfect! I imagine myself wearing this stunning and timeless set while sipping a cocktail on the aft deck of the Queen Mary; soft music playing in the background and the cool, ocean air dancing lightly on my skin as I sail, like royalty, across the ocean! 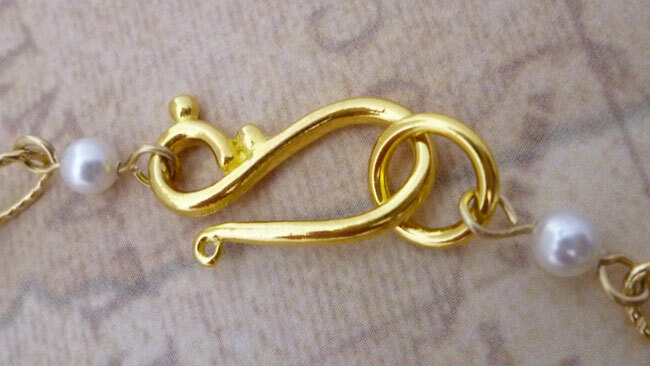 Peace, Love and Something Old is Definitely New Again! FTC compliance disclosure: the Artbeads.com items mentioned in this post were provided as a promotional gift as part of the Blogging for Beaders Program. 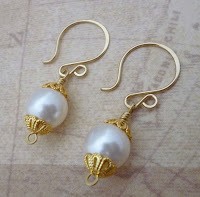 These items are for review or design purposes.